Delhi High Court Recruitment 2019 – High Court of Delhi, DHC announced 57 vacancies of Senior Personal Assistant for Any degree graduates. The detailed eligibility criteria and application process are given in below. Educational Qualification: Graduate from a recognised University and having speed of not less than 110 w.p.m. in Shorthand (English) and 40 w.p.m. in Typewriting (English) on Computer with good working knowledge of Computer. The paper will comprise 120 questions of one mark each. There shall be 25% negative marking for every wrong answer. The written test shall be English language and duration of 120 minutes. Mode of Payment: Online mode through Credit Card /Internet Banking. 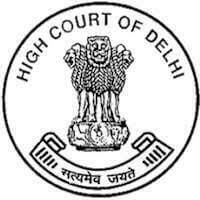 How to apply Delhi High Court Recruitment 2019? All interested and eligible candidates can apply for this position in online from 15 February 2019 to 7 March 2019. Date of Examination: Will be intimated later.